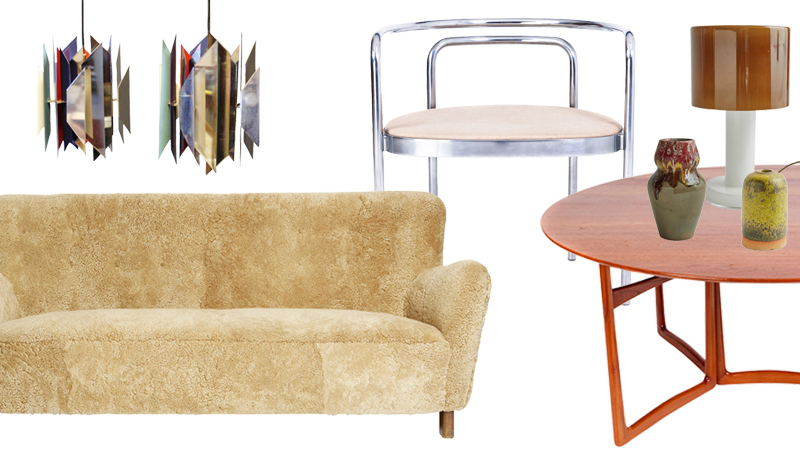 Scandinavian design, preferably from the 20th century, never bores us. Functional yet so aesthetically appealing with it's minimalistic shapes and calibrated use of luxury materials. Here are our 10 favorites right now, both classics and the somewhat more unknown gems. 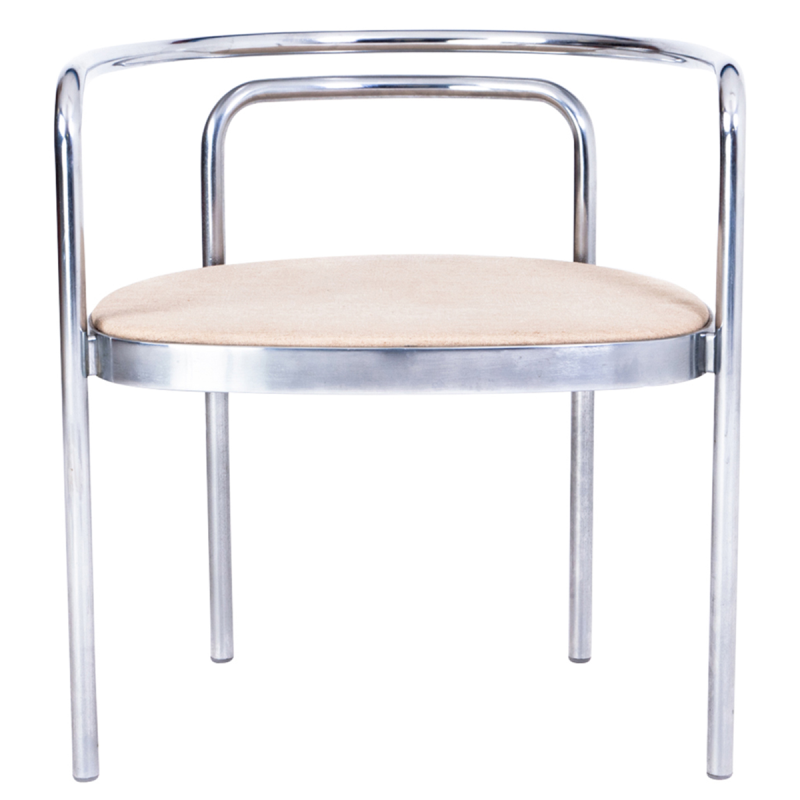 What's not to love about these classic chairs? We love them in this light leather upholster! Did you know that the Swan Chair was originally designed in 1958 for the SAS Royal Hotel (today Radisson SAS Royal Hotel) in Copenhagen? If you are going to Copenhagen today, make sure to book room 606, the only room still kept in the original design by Arne Jacobsen. Let's talk about function! 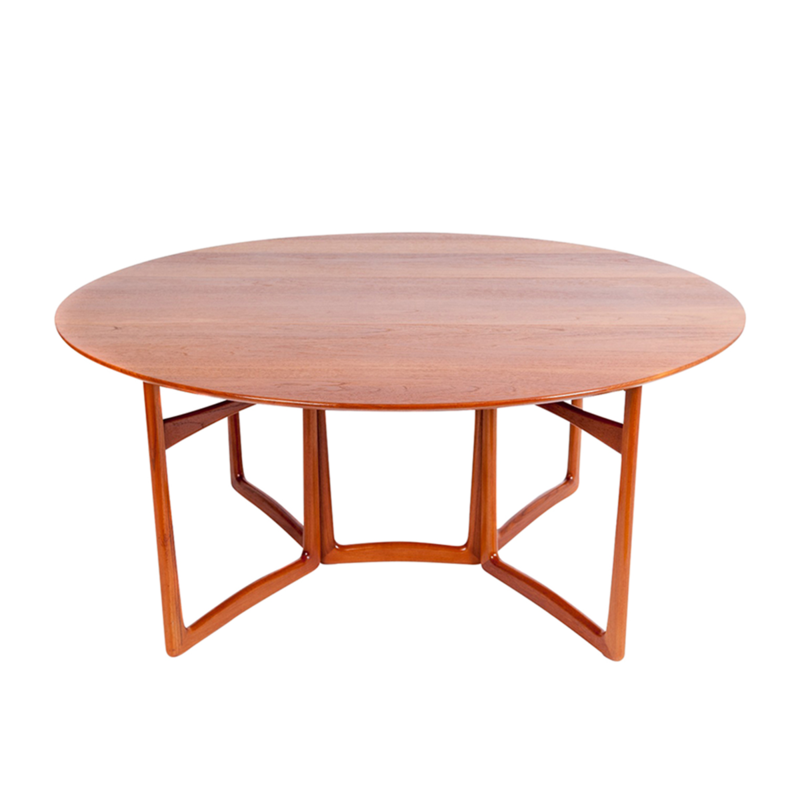 This beautiful teak table is not only appealing to the eye however also a great example of 20th century design with prime functionality. The gateleg function allows the table to change size to function as a side or serving table. You can also fold both sides of the tabletop making it easy to store and move. Lamp made of glass. 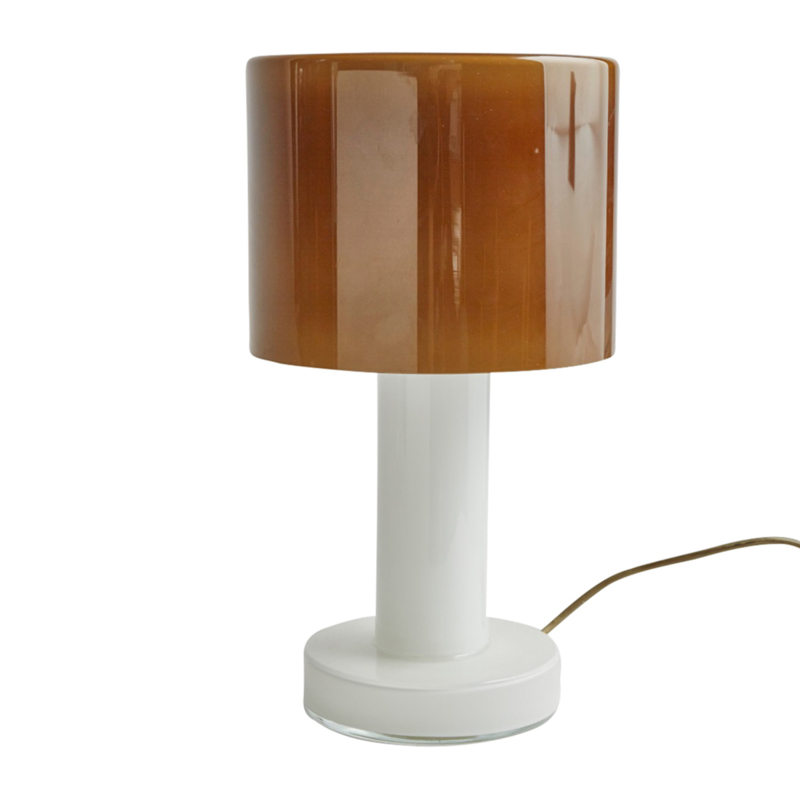 We don't know much about this lovely little lamp except that it's Danish and made of glass and made of glass manufactured by Holmegaard - one Denmarks prime glassmanufacturers established in 1825. Holmegaard started out making green bottles and tumblers but in the 20th century creative artists started to make designs for Holmegaards production. Today some of Denmark's best artists are associated with the manufacturer. Placing ceramic pieces in different sizes, shapes and colors together is a popular way of making your personally curated installation at home. In Scandinavian 20th century ceramics it is easy to see how elements, colors and shapes from the nature have been used to fashion the creation. 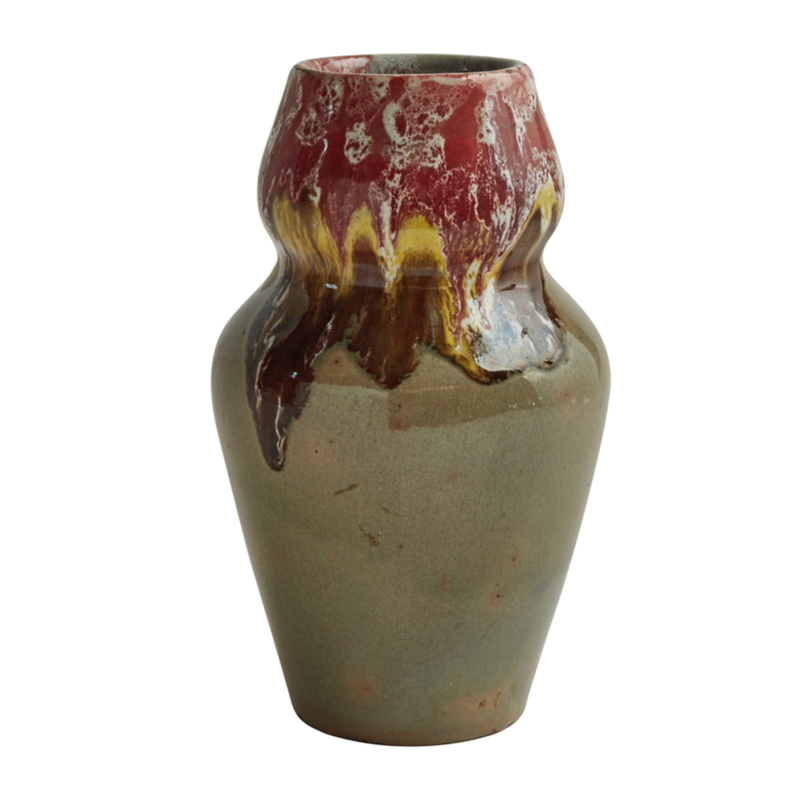 The way the red and yellow glaze runs down the high waist of this earthly colored vase is just beautiful! Poul Kjaernholm is maybe most famous for his chairs PK22 and PK24, however this model PK12 is also a typical example of how the Danish designer used steel frames in combination with natural materials when creating his minimalistic furniture with clean lines. We call this proper beauty based on not only shape but also on the selection of materials and natural colors. 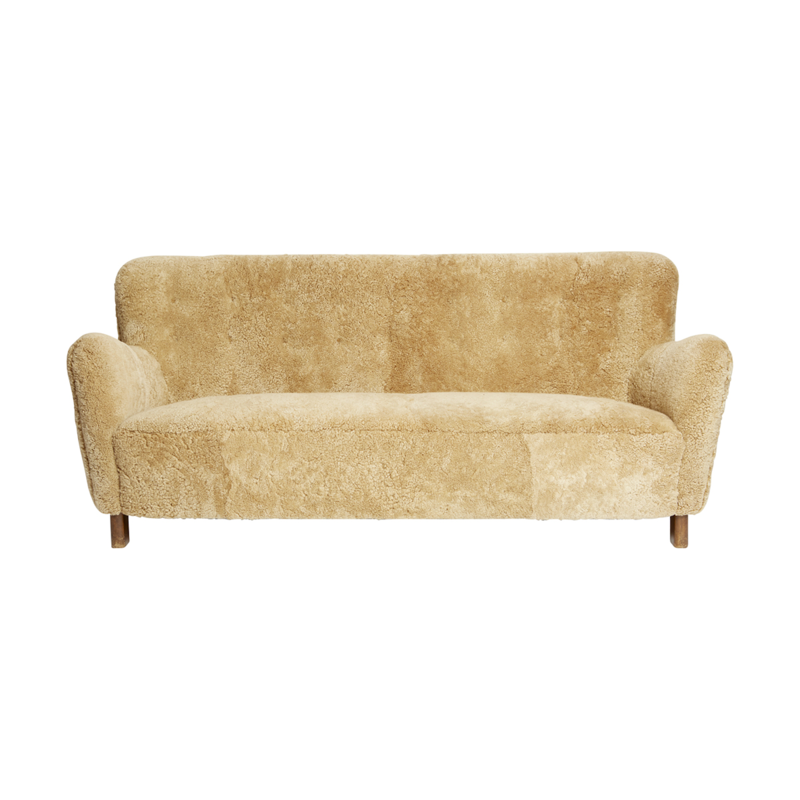 The Danish designer house Republic of Fritz Hansen's sofa from 1969 upholstered in sheepskin. Could you imagine anything more cozy? Wait until you hear the best part: the sofa comes with two matching armchairs in the same upholstery. 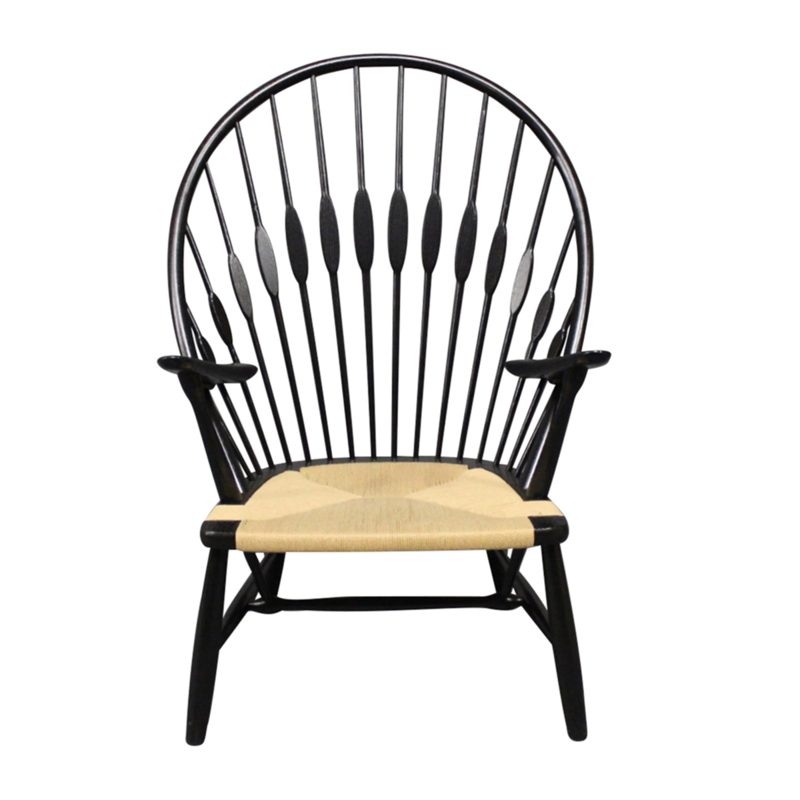 “A chair should be beautiful from all sides and should not have a backside.” Hans J. Wegner once said. And the Danish designer had a lot of love for chairs. During his career he design over 500 chairs. The Peacock chair from 1947, with its structure modelled on the British Windsor chair, got it's name as Wegner's fellow designer Finn Juhl exclaimed the resemblance between the chair and a peacock's plumage. If you haven't heard of Simon Henningsen (1920-1974) you might have heard of his father, Poul Henningsen (1894-1967) famous for the so called PH-lamps. Simon Henningsen found a fascination for the Tivoli gardens in Copenhagen and became the park's head architect in 1948. These pendants were designed in 1962 for the Divan 2 restaurant in the Tivoli gardens. 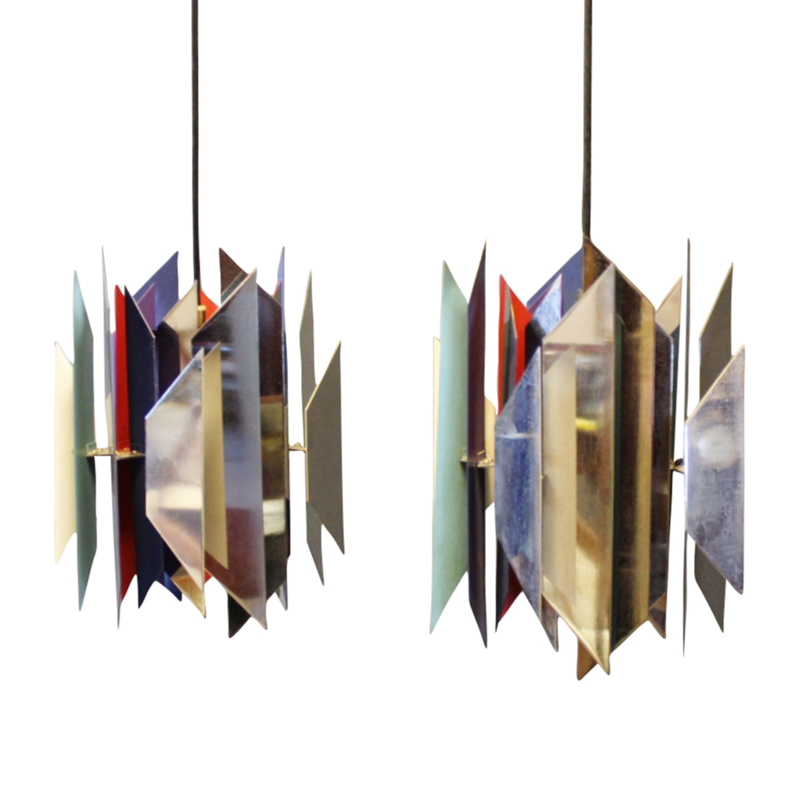 Made of angled mirrored glass, and with blue and red colors, the pendants were designed to reflect the natural light of sunsets and candles flickering. They really embody the playful and imaginative world of the old and elegant funfair in Denmark's capital. 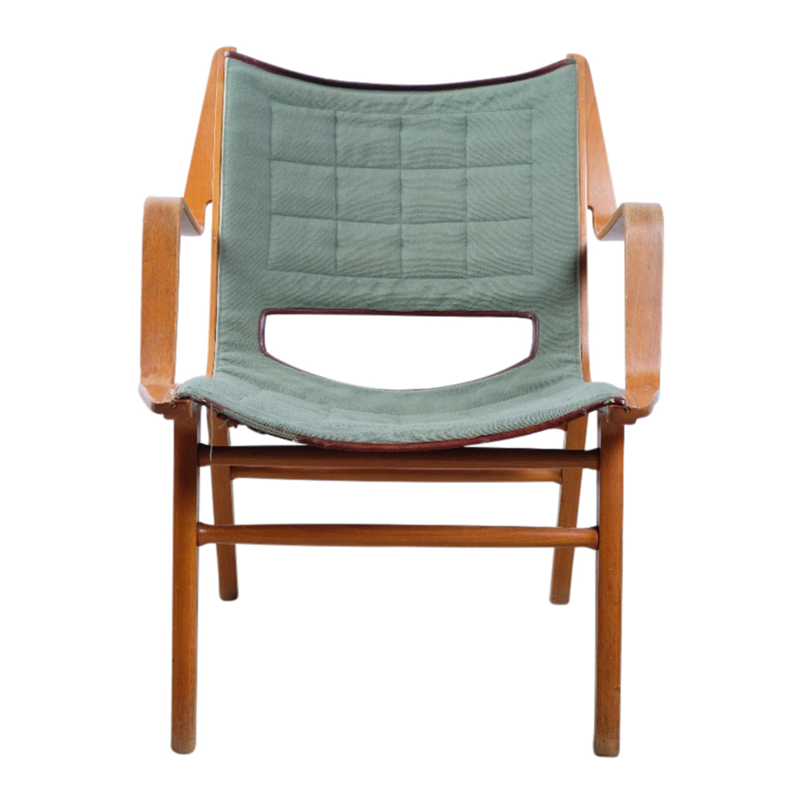 Danish midcentury design is not famous for its mass production and industrial design ambitions; more often craftsmanship and tradition is mentioned as the prime qualities of the Danes' designs. This chair, the AX Chair designed by Peter Hvidt & Orla Mølgaard, is actually said to be the first Danish chair made with both seat and back from curved laminated wood, inspired by the American Eames duo. 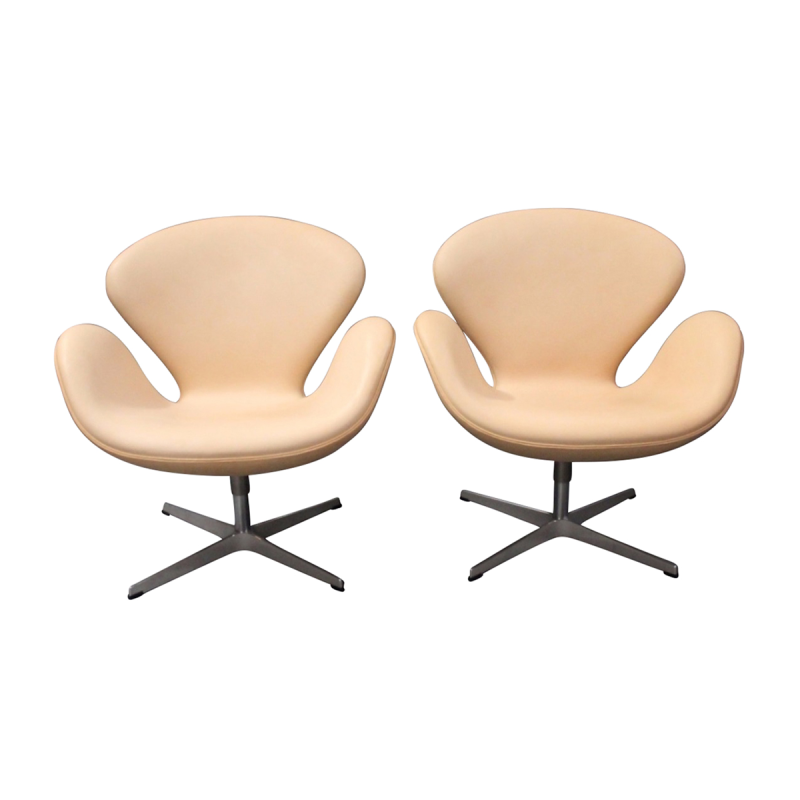 The technique, carried out by the design manufacturer Fritz Hansen, allowed for mass production, easy packaging and hence a product easy to export around the globe. 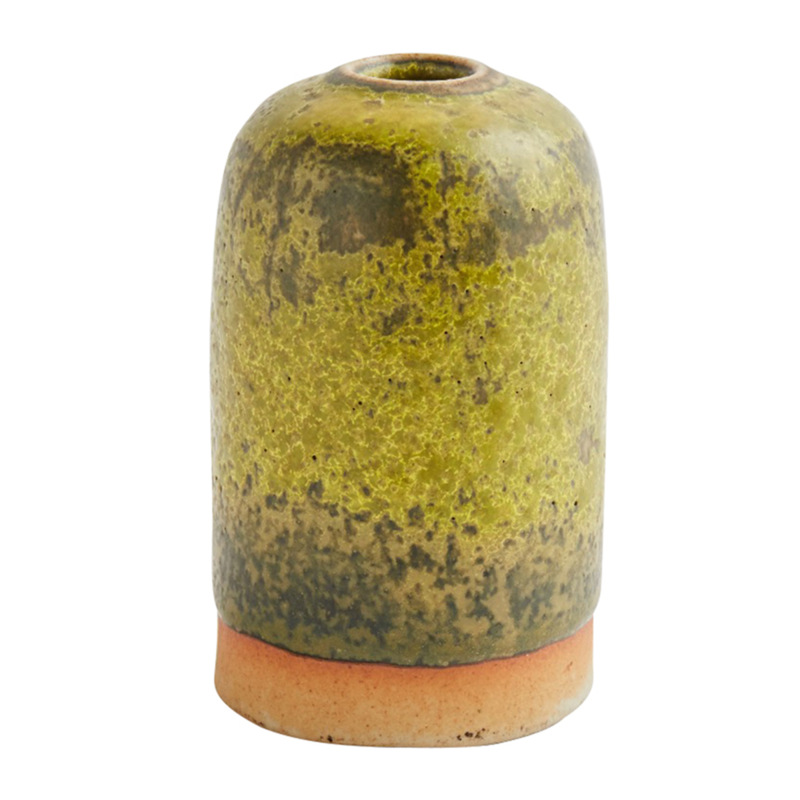 Another beautifully glazed vase in perfect yellow tones for that bouquet of fresh spring flowers. This one is by Nils Thorsson, a Swedish-Danish ceramist awarded with a gold medal at the universal exposition in 1925 in Paris. Today his work can be found, except for in Copenhagen and Stockholm, at the Victoria & Albert Museum in London as well as the Museum of Modern Art in New York. Can't get enough? Click here for more beautiful scandi design! All items featured are from the Danish dealer everclassic.com. Everclassic.com offer furniture, ceramics, lamps and much much more - everything with a lifetime authenticity guarantee. Also, they have a 100% insured delivery as well as a 14 day return policy. Make sure to check them out at Barnebys!